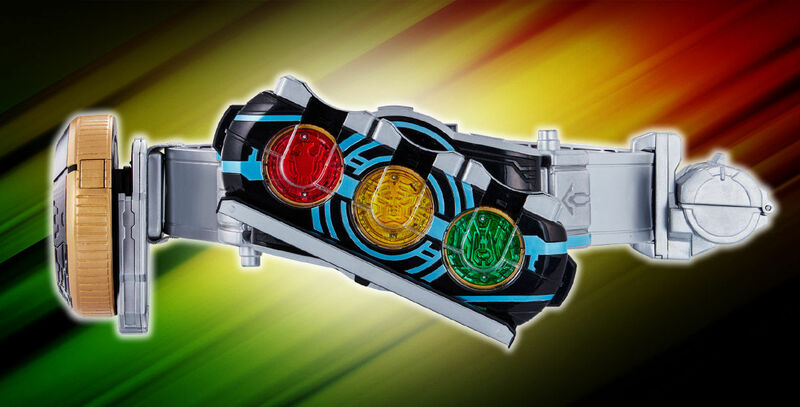 Premium Bandai has revealed the contents and more details for the Complete Selection Modification OOO Driver. For any fan of Kamen Rider OOO, this set is shaping up to the ultimate collection piece. First off, of course, is the driver itself, which also comes with the OOO Scanner. The OOO scanner doesn’t just read the medals it also has phrases from Eiji and Ankh. Included in these sounds is the special Ankh version of the Tajadol transformation from the OOO finale. You can’t have OOO without OOO Medals and this set includes every single medal seen in the TV show, Movies, and Hyper Battle DVD’s OOO was in. First is the medals from all the main combos in the show. Also included is the medals featured in Movie War Core & Mega Max and OOO’s Summer Movie. From Let’s Go Kamen Riders is the Imagin and Shocker Medals that can form Tamashii. Foundation X Versions of Tora, Taka Kujaku, Condor, Kuwagta, Kamakiri, and Batta are also included. From Movie War Mega Max is the Medals for Kamen Rider Poseidon. Same, Kujira, and Ookamiuo. Kangaroo and Panda, which were from a Hyper Battle DVD and Ganbarizing are included as well. Very special medals included are the future Core Medals that were seen to exist in Movie War Mega Max. These include Shika, Gazelle, Ushi, Seiuchi, Shiroguma, Penguin, Mukade, Hachi, Ari, Ebi, Kani, Sasori (Not Black Versions). That’s not all…. with all these Medals come new combos not seen before. Finally, Poseidon medals will also give OOO a new combo. With that there is all the combos the belt can do, the Love Combo is also there but unknown how to get. The final pieces of this set is a broken Taka Medal and the pieces to make the Posideon belt which is perfect for this medals. The first wave of this set sold out within minutes. Thankfully, a second wave has already been announced and this amazing set will release in June 2018. You can pre-order the full set from Toku Toy Store for £349.99, here. Will you be picking up this set? What do you think of the new OOO Combos? Leave a comment down below!